Our parent company, who early in 2005 the pubs of Jennings Brothers PLC joined the Marston’s Pub Company Estate. 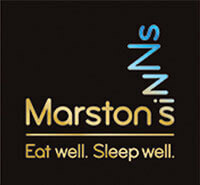 The UK’s leading independent and pub retailing business, Marston’s PLC is at the heart of thriving local communities. Marston’s have over 1,700 pubs in more than 20 counties across England and Wales’ from busy town and city pubs to village pubs at the heart of their communities. 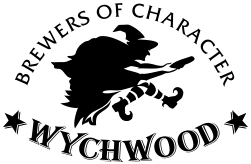 Are you interested in the way in which science and technology affects our lives? Are you worried that science is taking us down a steep and slippery slope? Are you sure that what you read in the papers or hear on the TV about these things is true – or do you suspect that sometimes the stories are exaggerated to make better headlines? The public often think that scientists simply don’t care about the potential impact of what they do and scientists often feel that the public doesn’t understand and that the true story is distorted by hysterical scaremongering. Neither side is right – but opportunities for dialogue and discussion are rare: scientists mostly talk to other scientists – and the public doesn’t often have a chance to ask questions of the ‘experts’. This doesn’t have to be the case! Come along to a Café Sci session – say what you think and hear what others say – are you in the minority or does everybody else share your concern? Each session will be introduced by an expert – but only to provide a framework of accurate information as a starting point’ these are not ‘lectures’ but an opportunity for open but informed discussion. Jennings have sponsored Cockermouth’s Café Scientifique’ Ann & John Lackie of Plumbland Consulting will organise it’ you’ the public’ need to come along – or don’t you care about these things? Gastro with gusto’ bars with bravado’ pubs with promise – Brakspear pubs offer a great variety of food’ drink and accommodation in beautiful areas nearly all within easy reach of Oxford’ Windsor’ the Chilterns and River Thames. We also have pubs to let – either tenancies or leases. 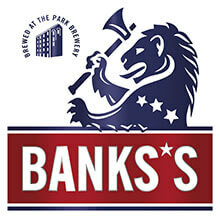 Banks’s is the West Midlands’ favourite ale’ brewed in Wolverhampton’ and sold at pubs’ clubs and supermarkets across the region. 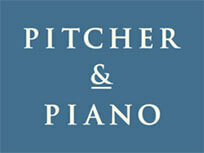 The first Pitcher & Piano was opened in Fulham’ London in 1986. The philosophy behind the concept was simple; a home from home staffed by people who have a deep understanding of what makes a great bar. Our buildings may have become progressively more stunning but the philosophy remains the same; that P & P should deliver a good time to everyone that steps across the threshold. There are 18 Pitcher and Pianos across the UK’ from Swansea to Newcastle’ this site is here to give you a little taste of all of them. Cask Marque provide a measurement of beer quality against a national standard. 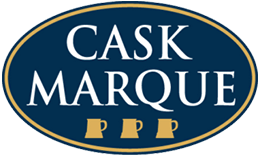 Look out for the Cask Marque logo to show pubs which serve the perfect pint’ or contact Cask Marque to request your guide to the best pints in the region. Windermere Lake Cruises Limited operate a number of vessels on Lake Windermere. Our main office being based at Bowness and smaller offices Lakeside and Waterhead near Ambleside. We also operate a Ship repair yard with workshops at Lakeside and a Boathouse with repair facilities at Waterhead. We have workshops at Bowness and at the Heaning on the outskirts of Bowness’ The company also run three cafe’s two in Bowness and one in Ambleside. 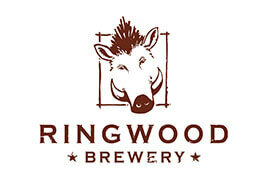 Beer has been brewed in Ringwood for centuries ever since mediaeval man first mixed the crystal water of the River Avon with the malted barley harvested from the surrounding fertile fields of Hampshire. The market town was a magnet for merchants and dusty drovers who needed their thirst slaked and whistles wetted before they could get down to the business of bargaining and bartering and many a deal was sealed over a draught and a noggin in one of the many taverns’ inns and ale houses that gave Ringwood one of the highest pubs per head of population in olde England. With 900+ places to stay in the Lake District including hotels, b&bs and cottages book your holiday in the Lake District with the regional tourist board. As the official visitor guide to Cumbria Golakes has info on attractions, restaurants, events and things to do. A relaxing, comfortable room, combined with great pub hospitality, and great value Inns and hotels from the UK’s leading independent and pub retailing business. There’s nothing better than staying in a pub! They have 38 Inns, some in beautiful locations and others ideal for major towns, cities or attractions and all offering the same great experience. 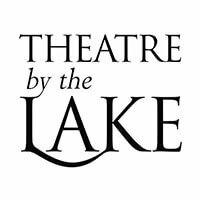 Theatre by the Lake is a year-round professional producing and presenting theatre which provides a service through the performing arts to communities of’ and visitors to’ Cumbria. The core programme is home-produced professional drama productions’ including a six month summer season of six plays in repertoire’ a major Christmas production and at least one other production in the Spring of each year. The theatre is situated at Lakeside in Keswick with its famed views across Derwentwater’ Borrowdale and the Western Fells. Theatre by the Lake has been sensitively designed to complement this unique and beautiful location. It has a traditional Lakeland exterior of locally-sourced stone’ slate and roughcast’ in keeping with Keswick’s distinctive architecture. The building houses a 400-seat Main House’ a newly-extended 100-seat Studio’ a coffee shop and bars’ two gallery spaces’ meeting and conference facilities and a rehearsal room. The organisation is constituted as a not-for-profit company and a registered charity – Cumbria Theatre Trust. Named after the ancient medieval forest of The Wych Wood’ our Brewery produces an award winning range of traditional craft-brewed beers full of character. We are the UK’s No 1 producer of Organic Beers. Wychwood blends traditional methods of production’ including the famous Brakspear ‘Double-Drop’’ with an innovative approach to beer flavour to produce around 50,000 barrels a year of flavour-packed traditional cask ales and bottled beers. The Langdale Estate is an idyllic 35-acre woodland estate located in the heart of the English Lake District. Home to the 4-star Langdale Hotel, Terrace Restaurant, Spa Therapies, Leisure Facilities, Brimstone Hotel and 5-star self catering lodges.